We started our cidery in 2012 on a small organic apple farm in Northern California and sold the golden liquid exclusively at Bay Area Farmer’s Markets for the first couple of years. Soon, cider making became a full-time obsession and Golden State Cider was born from the same ethos that we started with: great cider starts with quality fruit. That’s why we let the fruit speak for itself – the cider making process starts and finishes with West Coast grown apples from California, Oregon and Washington. We're driven by quality in all aspects of the cider making process and are fascinated by the range of flavors and profiles that the apple can produce. At Golden State Cider, we strive to craft the highest quality cider for the United State of California. We also believe that to make the best cider, your family tree better be an apple tree. 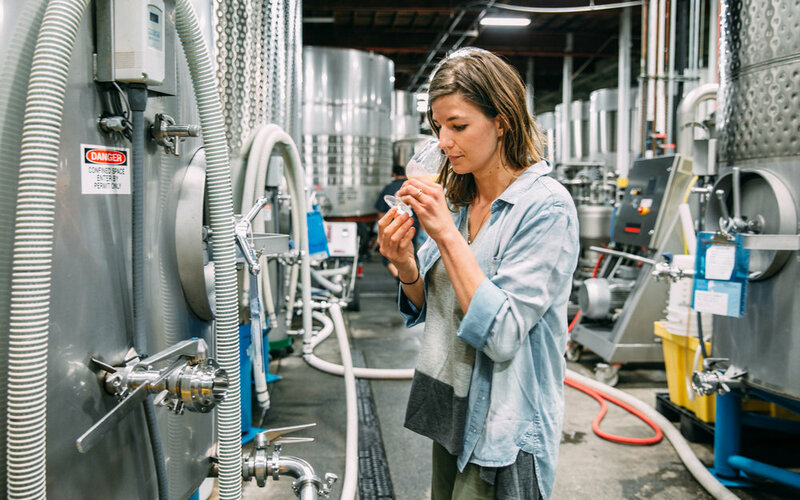 With our Californian apple heritage firmly rooted in Wine Country, we've found inspiration from our wine and beer making brethren and adopted a postmodern cider making philosophy where bench-mark quality and efficiency drive our entire process, from orchard to can. We source fruit from all over the West Coast, including from Oregon, Washington, and various regions within California, including Sonoma and Monterey Counties. With a state-of-the-art production facility overseen by Director of Production, Tim Godfrey, our natural cider making process is the heart of what we do. Our style is to showcase the great diversity of the apple and always shine light on the unique fruit character above all else. The taste of our craft ciders speak for themselves. You can always count on Golden State Ciders to be vegan-friendly, gluten-free, and made with no concentrates. It's all the stuff you want and nothing you don't. Our team is the heart and soul of our company. We're working hard to expand our product offerings and bring GSC to the entire West Coast Region. If you believe in good, whole fruit driven ciders and want be part of something exciting, we invite you to join our spirited crew.